And why is it particularly essential when doing business in China ? A China Trademark is a distinctive brand or mark used by an individual to identify that the product or service originates from only one source. This mark has a value not only to the owner due to its distinctiveness but also to customers who associate this trademark with a specific product or service and therefore have certain expectations of the company. 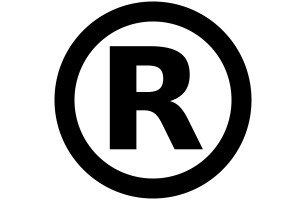 WHAT QUALIFIES AS A REGISTERED TRADEMARK IN CHINA? Logos and symbols that distinguish the goods or services of one entrepreneur or business owner, legal entity or any other organisation in China. Any word, design, letters of an alphabet, numerals, three-dimensional symbol, combinations of colors, will complement your trademark registration process in China. Is your trademark recognized in China? Having branded goods manufactured in China doesn’t protect you from your brand name being seized. China is a primary-to-file jurisdiction for trademarks, this means that if you don’t register your trademark, someone else will! The Chinese Trademark Registration Law states: “Any natural person, legal entity or other organisation intending to acquire the exclusive right to use a trademark, including service mark, shall file an application for the registration of the trademark with the Trademark Office”. China Trademark Registration squatters will specifically register the logos of foreign owned businesses. Protect your production operations in China from being ransomed by threats of trademark infringement. Even before you execute your business plans to set up a business in China. Our firm not only sets up legal company structures in China, we also help our clients protect copyright and trademark infringement prior to setting up business in China.